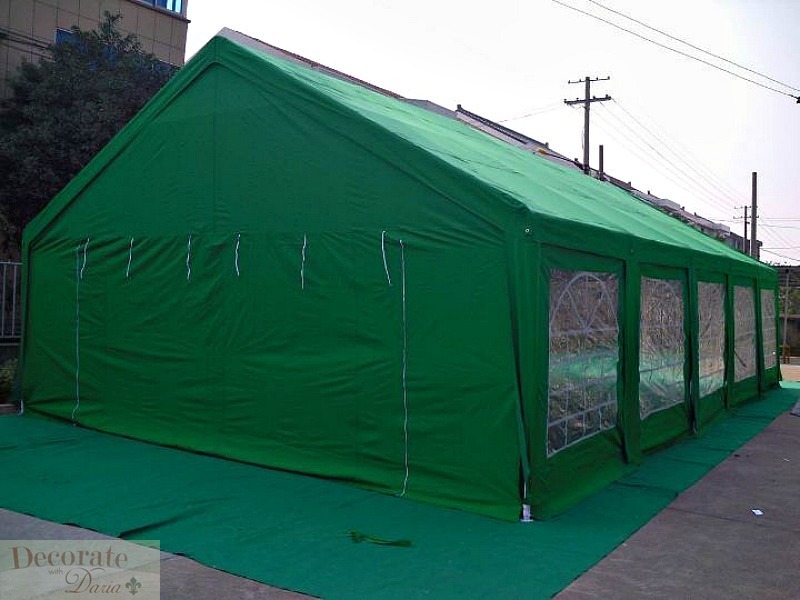 Brand New HUGE 20' x 40' Wedding Gazebo Canopy Party Tent! >Available in Hunter Green, White, Black, Wine Red, or Blue! MSRP $2499.99 + Tax! IN STOCK - Ships within 3 business days! SHIPS IN 3 BUSINESS DAYS. PICKUP IS ALSO WELCOME FROM SAN DIEGO, CA. *Phone # required before we can ship. Please provide with payment. 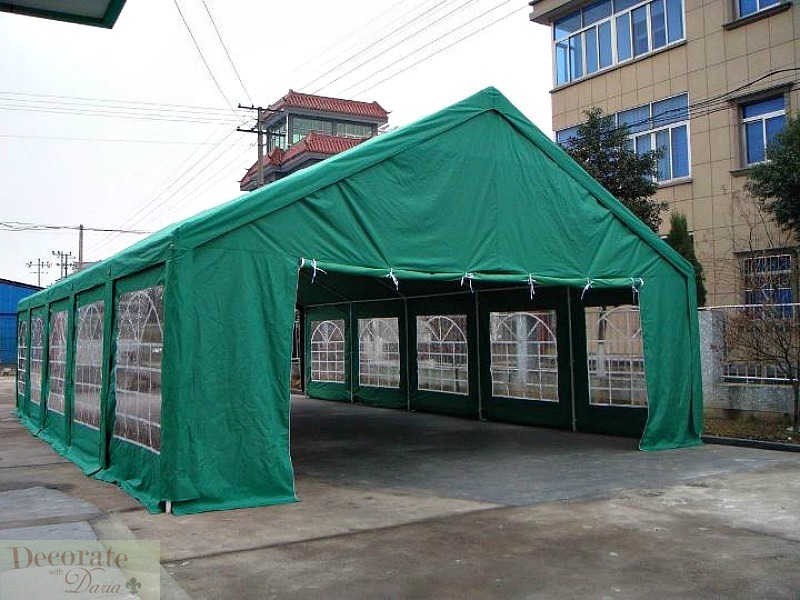 HUGE 20' x 40' Wedding Gazebo Canopy Party Tent! 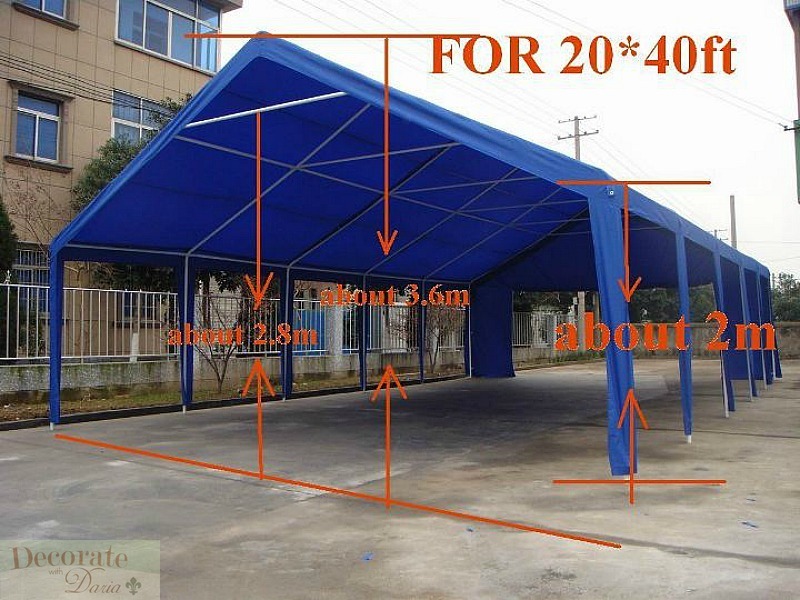 20'W x 40'L x 11.8'H (peak) Now available in Hunter Green, White, Black, Blue or Wine Red! Wall height is 2 meters which is equal to 6' 6". 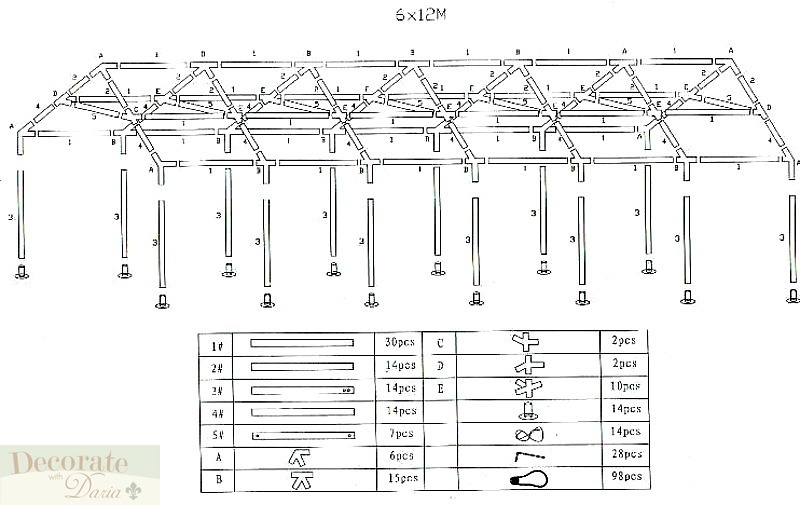 It has a very strong 100% steel pole frame construction. 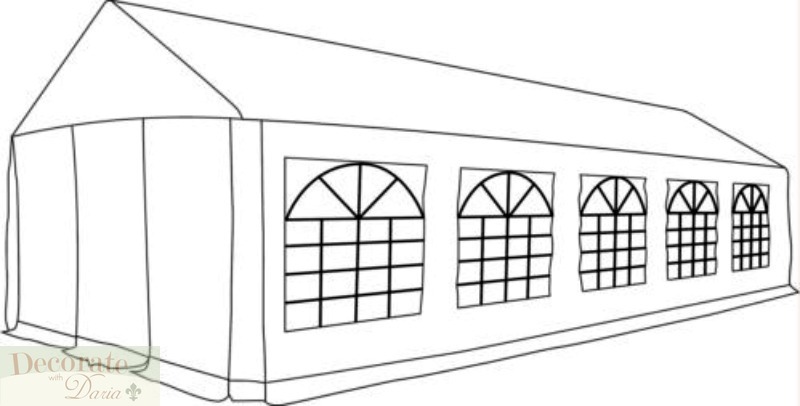 It has large windows and doors, perfect for any event! There is a door on both sides! 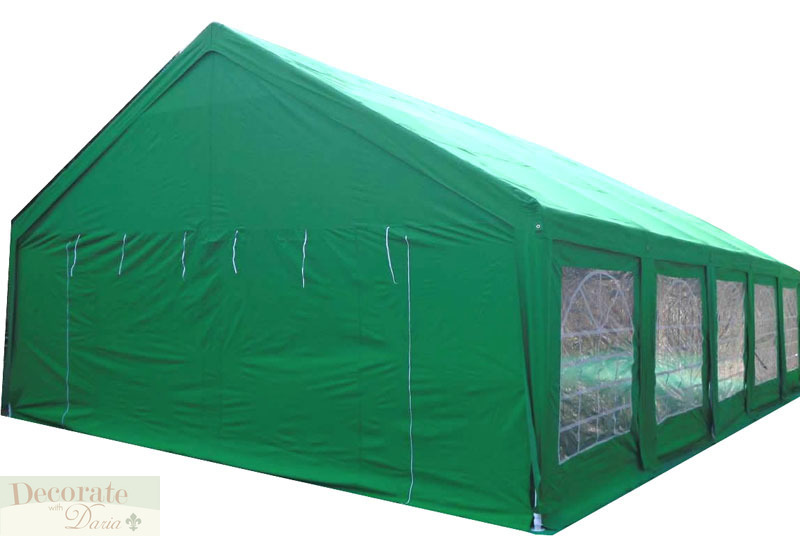 This Tent is NOT meant to withstand sustained wind speeds of over 25 MPH. 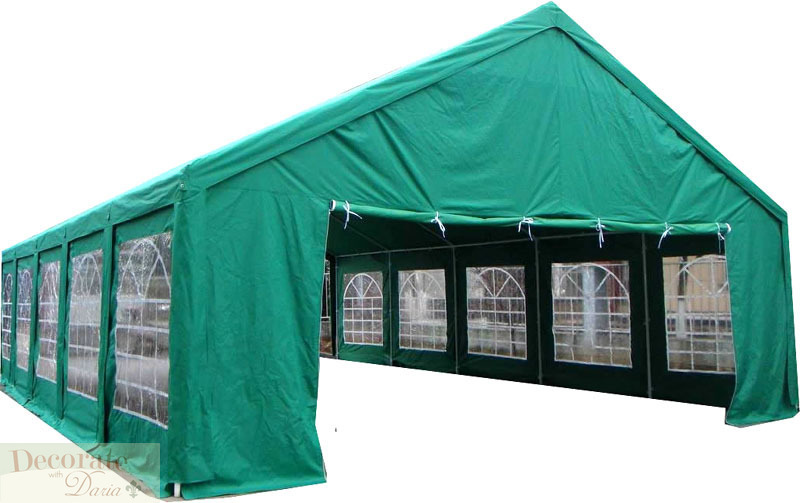 Any wind storm damage to your tent is NOT covered by the warranty. 1 Year Parts Warranty does not cover any acts of nature. - Heavy duty white powder coated steel frame and posts - 1.5" heavy duty poles! - Allow 3 Business Days for order processing. Note, due to the large size, we ship these in special wooden pallets with a freight line company. Curbside street delivery only. Phone # is required before we can ship. > Paypal and major credit cards accepted for fastest shipping times. *** Notes regarding freight delivery charges, on this and all other freight that we ship. The $200 delivered rate is for most areas within the USA mainland, NOT all areas. Areas in Long Island, NYC will have higher transportation costs. Areas within Manhattan are subject to a $50 Manhattan delivery fee. Locations must be accessible by a semi truck. Hard to reach residential areas might also have an additional charge if a special truck is needed. If you feel there will be any trouble reaching your location, please contact us before you purchase so we can calculate if any additional charges will be due. > Canada Shipping Rate: Please contact us for a quote with your Postal Code. > WE ONLY SHIP TO THE MAINLAND UNITED STATES AND CANADA. Sorry we do not ship overseas at this time. > All items are in stock in US warehouse, and will ship within 4 business days! Please allow approx 2-7 business days on average to arrive once shipped. WARRANTY: All defects must be reported within 7 days of delivery. Does not cover misuse or mishandling of this item. RETURNS: We do stand behind all the products we sell. If an item is defective, we will gladly replace it at our cost. If damaged, we will replace it at our cost. We do also accept returns for a refund within 7 days of arrival. There is a 15% restocking fee on returned items. All items must be returned complete, with all accessories including original box. 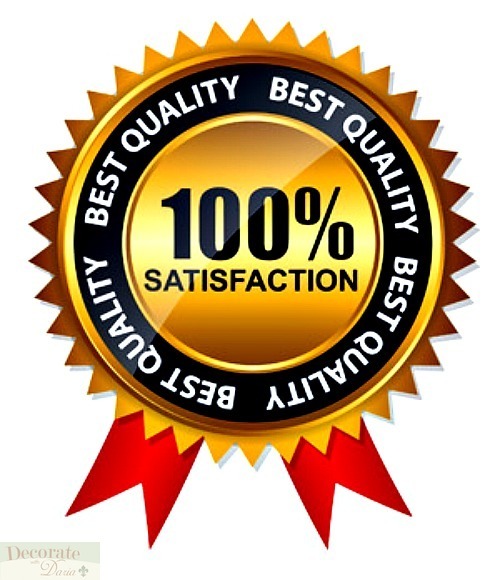 We do not pay return shipping on refunds, but we do pay return shipping if an item is faulty and we are replacing it. SHIPPING TO ALL 48 STATES. Sorry, NO PO Boxes or APO's - Our Shipping Policy does NOT apply to ALASKA, HAWAII, PR and USVI CUSTOMERS. Please email us FIRST before buying for the appropriate shipping rate. CANADA RATES are strictly on quote basis - Canadian customers MAY pay up to 15% duty plus Canadian Customs/Brokerage Duty charges when item arrives.